I am against wearing sweat pants in public. Even if they are made by Victoria’s Secret or any other designer brand. 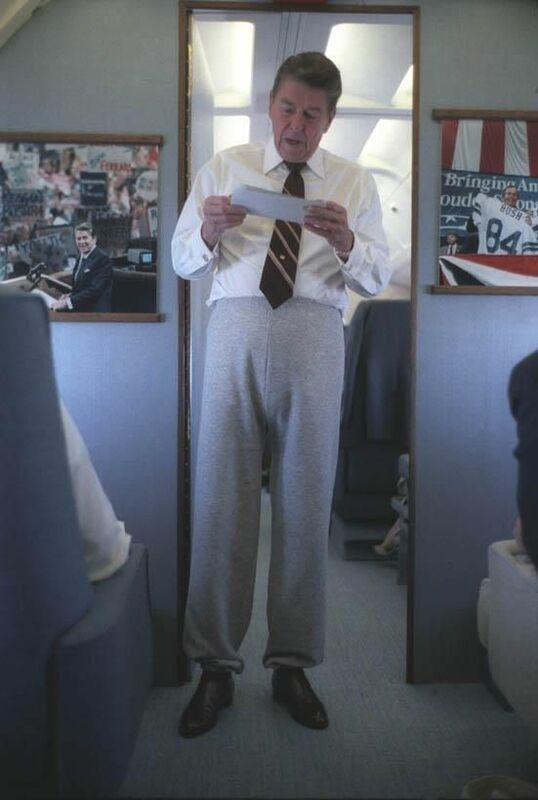 Believe me, if Ronald Reagan cannot pull them off while flying on Air Force One, you cannot pull them off either.